Every day we dig deep and make measurable changes in health outcomes and immeasurable impacts in people’s lives. 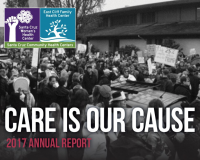 Check out our 2017 Annual Report below. Support our cause through the new year. Donate today!